The PMP15013 reference design is a 5V/3A output power supply using the LMR16030 DC/DC buck regulator. 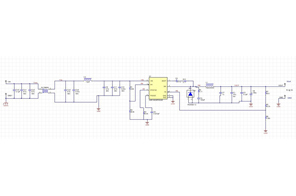 This design uses a 4-layer board and is intended for industrial applications with a 24V input bus. LMR16030 is a 4.5V to 60V input, 3A output capable, and 200 kHz to 2.5MHz non-synchronous buck regulator. This reference design has an input voltage range of 18V to 36V, covering the widely-varying input voltage condition commonly seen in industrial applications with a loosely-regulated nominal 24V input voltage. 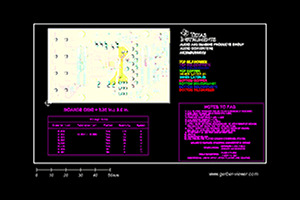 The reference board includes an input EMI filter, and the layout is optimized for improved EMI performance on a 4-layer PCB. The board was tested to the CISPR-22 standard, and the conducted emissions (CE) and radiated emissions (RE) were in compliance with the CISPR-22 Class-B requirement with 10dB of margin.